I consider myself a conservationist and an animal lover, but most of all I am a scientist. This is why the badger cull makes me so angry. Human management of wildlife is always a hard pill to swallow, but where it refutes scientific consensus (science that actually points to increased dispersal of TB after a cull) the needless nature of the bloodshed must be contested. Since the trial culls began I’ve made my feelings known. I’ve marched, signed petitions, responded to public consultations, informed friends and defended my opinion against the internet vitriol of the pro cull brigade. But it has amounted to nothing, and as the government continues to attack one of our only remaining charismatic mammals I decided it was time to take direct action. So I contacted Somerset Against the Badger Cull to take part in some sett surveys (I also attended a training session with the Wiltshire group). The first thing I noticed when attending these days is that the people I was attending them with weren’t necessarily your typical ‘anarchists’. What I experienced was in fact some lovely days out in the countryside with an interesting, varied and well-informed group of people. All at the same wits end with the situation and wanting to do more, not from a place of hatred, but from a place of loving our native wildlife. It’s really important to note that you can take direct action against the cull without doing anything illegal. 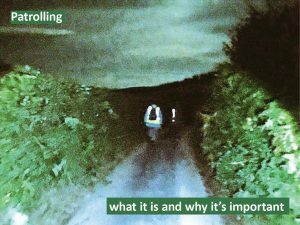 This being my initial concern, I was pleased to have this quickly pushed aside with regards to both sett surveying and nighttime badger walks on public access pathways. If you like exploring the British countryside, sett surveying is for you – you can literally go out for some fresh air and do something great. You can even take your dog along (small ones on leads for obvious hole sized reasons) as the badgers are sleeping during the day. We were lucky enough to head out on some sunny spring days for our training walks. We headed to areas within an hour from Bristol that I would have never thought to discover and enjoyed beautiful landscapes, trees, wild flowers, birds and even a wild deer. As a keen naturalist I absolutely loved learning to ‘track’ badgers – to read the tell tale signs in the grass, the strand of hair on a fence or musty smell of a latrine to lead you to a hidden sett. Speaking from experience, it is strangely just as exciting as tracking animals on the plains of Africa. And when you find a sett, the buzz is tremendous. Especially because, under the veneer of all the excitement, you know that finding it is important for the protection of the animals that call it home. We found several active setts during these sessions. However, mixed with the joy, was a heavy feeling, as some of these setts were not in their natural state or environment. 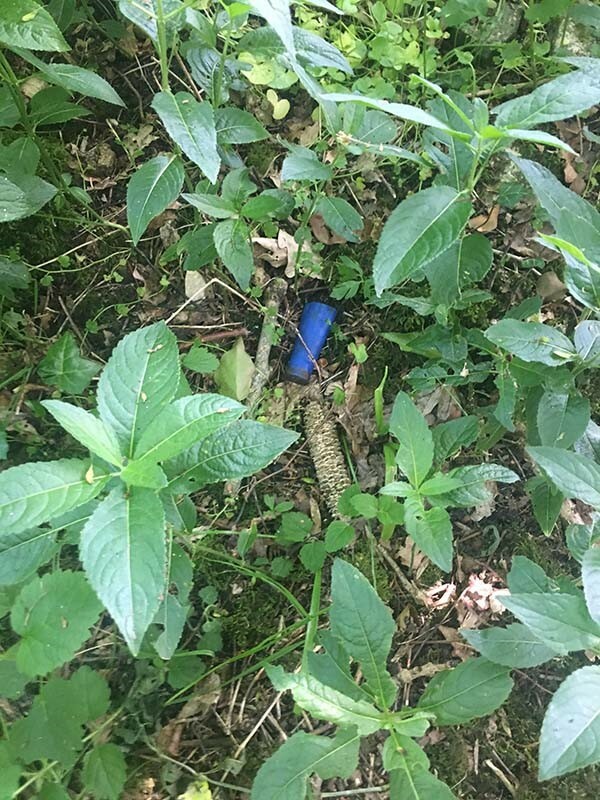 One sett in particular, was both next to an arable field and a shooting tower, the ground littered with not only with maize kernels (badger lunch leftovers), but used gun cartridges. Some of the badger’s holes had also been blocked with stones that it took two people to lift away – illegal activity that would sadly never yield a prosecution. These sad moments only validated my reason for being there. The information we gathered will go on to be used to protect these vulnerable setts during culling season. I have a huge amount of respect and thanks for the people that have been mapping setts across the country for a number of years. I can’t believe that it took me so long to join in. The time for being an armchair warrior is over for me. If the government won’t protect our badgers then we will.